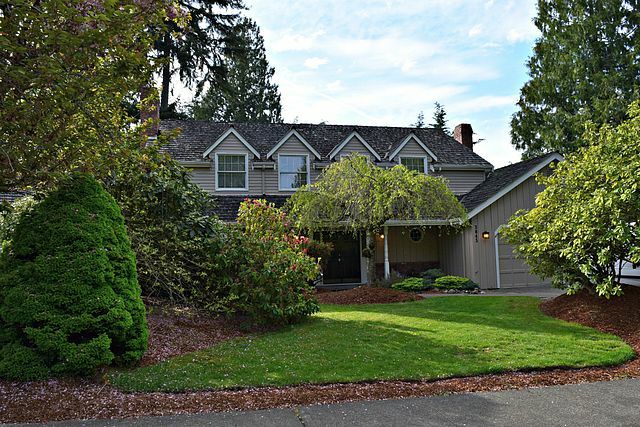 Desirable Timberline neighborhood features 4 bedrooms & 2.5 baths. Spacious living & dining areas with wood burning fireplace & hardwood floors. Light & bright kitchen with nook, walk-in pantry, plenty of cabinets & counter space. Adjoining family room with floor to ceiling brick fireplace & built in cabinetry. Large master suite with vaulted ceilings. Sunny fully fenced backyard with patio, great for entertaining. Tons of extra storage. Lake Washington School District, walk to Blackwell.